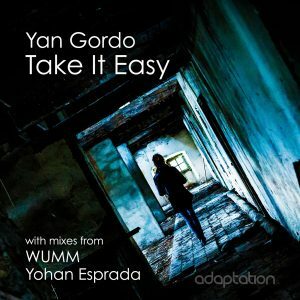 Yan’s versatile crossover sound continues with the brilliant ‘Take It Easy’ which will appeal to DJs from the deep house, jackin house and soulful house scenes – a feat which is not easy to achieve. Warm chords and a captivating vocal are backed up with old school U.S garage style beats giving the track a retro vibe with a modern twist. WUMM’s remix takes the track in a more dubby late night direction, keeping the lush chord sound but introducing a serious slice of sub bass remeniscent of the early Robsoul and Brique Rouge sound. Rounding off the package is another quality remix from Yohan Esprada with a soulful vs deep/tech vibe which once again showcases the versatile quality of the overall release.